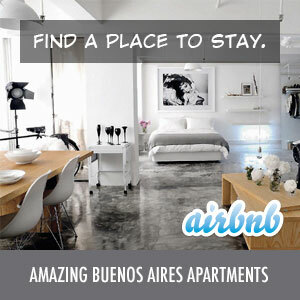 Since every other site is doing a “Year In Review,” we decided to jump on the bandwagon too… So, without further ado, here’s the Discover Buenos Aires 2012 Year in Review! We wrote 47 blog posts in 2012. While not prolific writers, that beat the 41 blog posts of 2011. We had over 160,000 views in 2012 which also beat the 150,000 views of 2011. We had visitors from over 180 countries with the United States, Argentina and Canada sending the most visitors. We added a new Events section showing all the best upcoming events in Buenos Aires. We’ll be expanding on this in 2013. We broke the news about using Xoom to send money to Argentina and take advantage of the “blue market rate.” Our posts about using Xoom were some of our most popular for the year. Our other most popular posts were some older ones: Argentina Entrance Fee To Go Into Effect, Saving Money With Movistar Prepago, Looking Up A Zip Code in Buenos Aires, Luggage Storage in Buenos Aires, Upcoming Concerts in Buenos Aires. We continue to update these to make sure they have all the latest info. The “blue market” USD exchange rate went from $4.740 to $6.800. (A 43.46% increase.) This is the reason we stopped using our ATM card. My daughter went from being an 16 month-old to a 28 month-old. What a difference a year makes at this age! It was great to have a first Christmas where she understood who Santa was. We’re looking forward to 2013 and living up to our resolution to actually learn Spanish… ¡Feliz Año!